We recommend and source tier 1 servers and sans to ensure that this critical part of the network is always functioning. Our preferred manufacturers are Fujitsu and HP both offer excellent reliability and industry leading warranty services. Contact us to discuss your server/data centre Needs. The HPE ProLiant Gen10 Server is an enhanced tower with performance, expansion, and growth at an affordable price. It meets most small- and mid-sized businesses’ needs as well as accelerates your business computing. Does your data centre need a secure, performance driven dense server that you can confidently deploy for virtualization, database, or high-performance computing? The HPE ProLiant DL360 Gen10 Server delivers security, agility and flexibility without compromise. Supports the Intel® Xeon® Scalable processor with up to a 71% performance gain and 27% increase in cores1, plus 2666 MT/s HPE DDR4 SmartMemory supporting up to 3.0 TB2 with an increase in performance up to 66%3. With the added performance that 12 NVDIMMs and 10 NVMe bring, the HPE ProLiant DL360 Gen10 means business. Deploy, update, monitor and maintain with ease by automating the most essential server life cycle management tasks with HPE OneView and HPE iLO 5. Deploy this 2P secure platform for diverse workloads in space constrained environments. Changing storage needs for server customers now requires greater levels of performance and functionality at a lower cost of ownership. 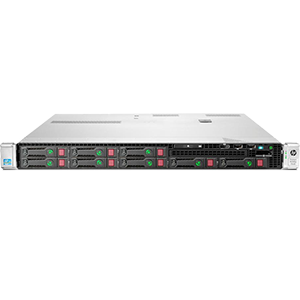 The next generation HPE MSA 2040 Storage arrays raises the bar & uniquely addresses HPE ProLiant customers’ shared storage and data protection needs, reduces TCO while dramatically increasing performance using technologies such as Solid State Drives, Snap and Volume copy, Replication and SEDs. The MSA 2040 Storage arrays are positioned to provide an excellent value for customers needing increasing performance to support initiatives such as consolidation and virtualization. QNAP provides a full range of cutting-edge network-attached storage devices that not only fulfil storage needs, but also provide a wide range of services and features to greatly increase the productivity and options of your business. QNAP NAS provides not only all-encompassing backup solutions, but also a whole range of methods for fully backing up the contents of the NAS, adding an extra layer of protection for your data in the event of disaster recovery. Maintain power during a powercut or ensure shutdown is carried out correctly. ICTn will match the correct UPS with the schools servers and active components in mind protecting the most critical aspects of the network. Faronics powersave allows the school to fully control the power settings of PC’s across the network. System administrators can set power schedules for different times of day, weekends, and holiday periods. The software will also give full reports on energy savings allowing the school to see the ROI. Powersave can also enhance a schools carbon savings efforts and contribute positively to the environment. 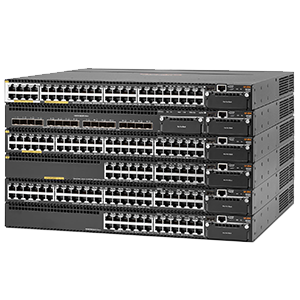 Plug and play with 8-, 24-, and 48-port models with optional PoE+ and 10GbE uplinks. Our software offerings are aimed at enhancing the serviceability of your network and helping to ease maintenance. Call us to discuss how our offerings will enhance your network. Award-winning Faronics Anti-Virus security solution and rest assured that your IT assets are in safe hands. It not only provides exceptional virus, spyware and rootkit detection, but also includes a firewall and web filter for comprehensive, rock-solid protection. Faronics Deep Freeze makes PCs indestructible. It protects endpoints by Freezing a snapshot of a workstation’s desired configuration and settings set by the IT Admin with an instant reboot, any unwelcome or unwanted changes are removed from the system, restoring it to its pristine Frozen state. Share teachers or students screens across classroom PC’s or netbooks, lock screens or send a class message. Can also be used to monitor multiple screens or as a simple voting system, Insight is a very versatile tool. As soon as you have any email anywhere within your network, your risk of infection has massively increased. Email is a normal part of daily routine – so system have to cater for intrusion attempts, trojans, hacks and any attempt to divert or subvert traffic and data. VMware vCenter Server provides a centralized platform for managing your VMware vSphere environments, allowing you to automate and deliver a virtual infrastructure with confidence. Acronis Backup 12.5 is the world’s easiest and fastest backup solution for Microsoft Windows Server®, including the Essentials, Foundation, and Small Business Server editions. With more than 500,000 businesses trusting Acronis solutions to protect their critical data, Acronis Backup 12.5 is the most reliable backup solution for your Windows Server on the market. Foldr breathes new life into your existing file servers enabling access from any device, anywhere. 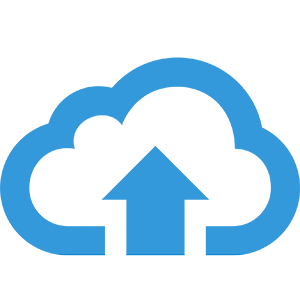 Integrate your favourite cloud storage providers – Google Drive, OneDrive & SharePoint, Dropbox and Box – for a seamless hybrid cloud experience. The speed and privacy of your local infrastructure with the scale and flexibility of the cloud. Remote file access for all your users whether on-premise or in the cloud! If you’re seeking a top quality school wireless supplier, look no further. Call us. Our preferred Wi-Fi vendors for education are Meru, Ruckus, Ubiquiti and Tplink. Each offer high quality Wi-Fi for schools. 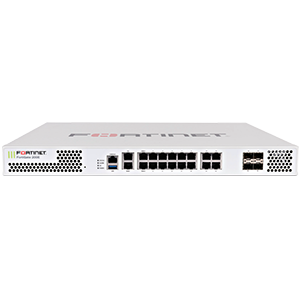 Fortinet technology is designed to maximize the benefits of 802.11ac Meru Networks’ “game changing” technology is now widely accepted as the wireless network infrastructure of choice in education. 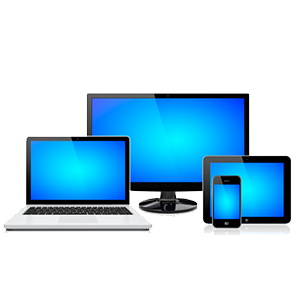 Applications demand more bandwidth that ever before, and end users carry multiple devices. A wireless and wired network that scales to handle the device growth and meet the demands of the digital learning environment is the cornerstone of solid learning foundation. Choose a network that grows with your school’ needs and budget constraints. With Ruckus, you can provide the highest device density per AP, wired network scaling capabilities, flexible management infrastructure and easiest device onboarding available. High-Performance, Scalable Wi-Fi UniFi Access Points deliver wireless coverage, indoors or outdoors, in high-density client deployments requiring low latency and high uptime performance. The UniFi Controller v4 software is a powerful, enterprise wireless software engine ideal for high-density client deployments requiring low latency and high uptime performance. With its software-based capabilities, the UniFi virtual control plane allows for unlimited scalability under one centralized controller. Remotely access the UniFi Controller to upgrade deployed UniFi APs while in the field. Our offering includes pure and hybrid cloud and we can help you to decide which is the best offering. We work closely with all leading vendors and can migrate your site seamlessly to Microsoft 365, Azure, Google etc. Call to arrange a consultation where all options can be discussed. Office 365 for Education is a collection of services that allows you to collaborate and share your schoolwork. It’s available for free to teachers who are currently working at an academic institution and to students who are currently attending an academic institution. The service includes Office Online (Word, PowerPoint, Excel, and OneNote), unlimited OneDrive storage , Yammer, and SharePoint sites. Some schools allow teachers and students to install the full Office applications on up to 5 PCs or Macs for free. Educators can set up Classroom in minutes. With Classroom, they can manage assignments and communicate with students and their guardians in one convenient place. Google Classroom is free for schools. Best-in-class security is also included at no additional cost. Teachers and students can work anywhere, anytime, and on any device. Classroom seamlessly integrates with other Google tools and helps educators refresh their curriculum with integrated education apps. Educators can provide instant feedback and track a student’s progress to improve performance. Classroom also helps free up educator time so they can focus on what they do best: teaching. Visual impact is essential to the delivery of 21st century curriculum. A standard part of the classroom for many years now and still used by many teachers. 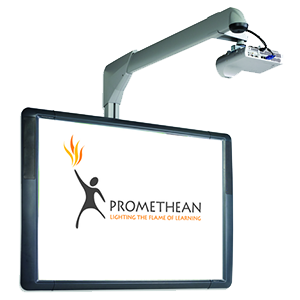 We can supply and fit all brands but have a long relationship with Smart and Promethean technologies. ActivBoard Touch provides teachers with a wide range of tools to support their daily instruction at an affordable cost. Teachers and students can easily interact with content using swipe, pinch, and zoom gestures to share ideas, work on projects, or master concepts. The iconic hub of today’s classroom now comes in several more different models. Choose unrivalled interactive displays that bring devices, education software and lesson content together, or a display that simply lets you share your screen. No matter your decision, you can be certain it meets our decades long standard of quality and innovation. Increasingly touchscreens are seen as an affordable alternative to the IWB. We can talk you through the advantages and disadvantages and point you in the direction of alternatives such as the Murus from Avantis. We also work with Nureva and their exciting “Span” technology. Affordable but extremely durable, the V series 65” interactive display delivers high quality design and functionality in a display that has been designed specifically for the everyday needs of teachers and students alike. The Avocor V-6500 combines Full HD 1080p resolution and cutting-edge LED technology to deliver the best touch experience for the budget conscious user. Still an important part of the classroom and hall. We have huge experience in supplying and fitting all leading brands, Sanyo, Casio, Epson etc. We can offer simple installations of short throw projectors or more complex large scale hall installs. Digital signage allows a school to deliver instant messages to parents, children, staff or visitors instantly. Solutions from Onelan, Samsung means that ICTn can offer a solution which best fits the school’s needs. We have strong relationships with Fujitsu, Dell and HP but are able to source devices from all manufacturers. 3CX Phone System + Public Announcement! Using a VOIP phone system can dramatically reduce your total telecoms costs for both calls and maintenance. The phone system can also be deployed as a flexible PA system turning all desk phones into public announcement speakers. The addition of sip sounders in corridors and group circulation areas means that traditional PA systems are now redundant. The addition of bell commander software allows schools to schedule class changes plus the now statutory “Lockdown” message! 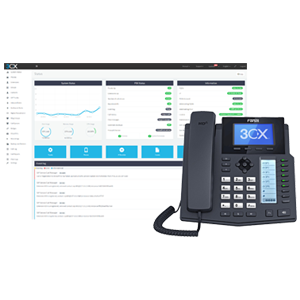 3CX is an open-standard, software based IP phone system that works with popular IP Phones and SIP trunks whether on premise or in the cloud. 3CX offers a complete Unified Communications solution out of the box. As an open standards software PBX, installation and management of your phone system has never been easier. Slash telco & communications costs!